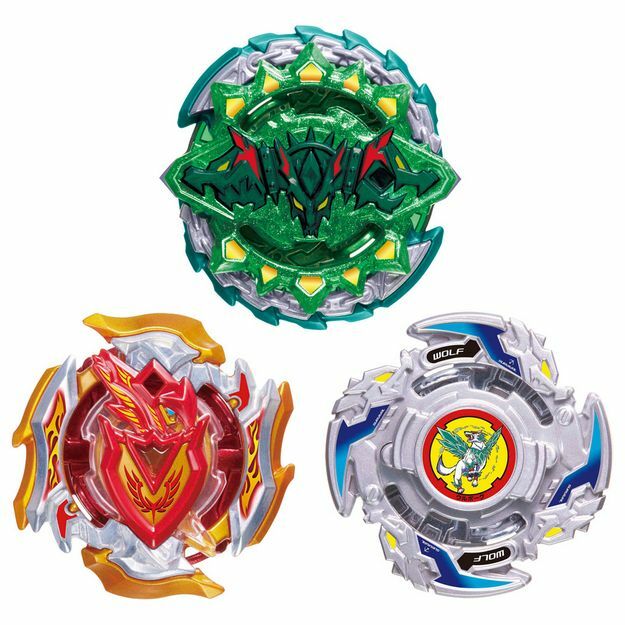 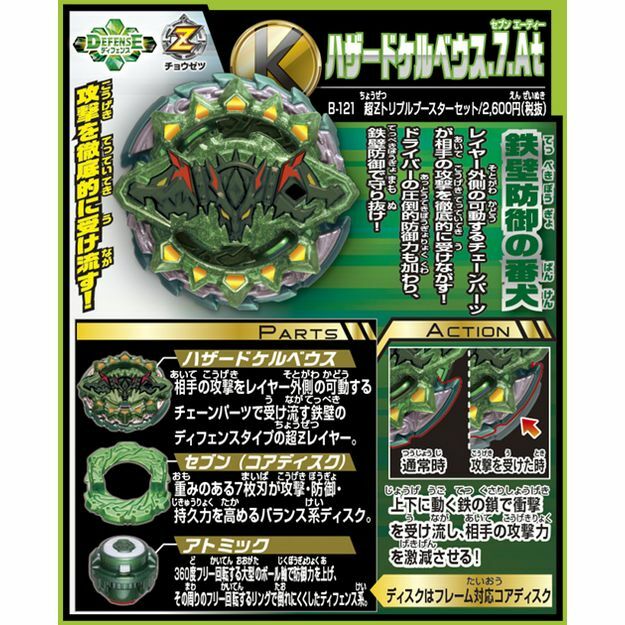 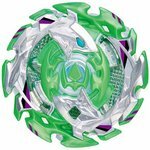 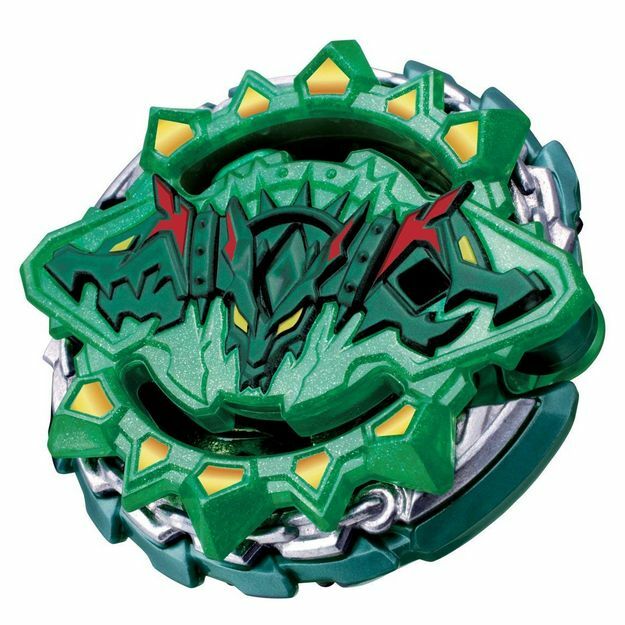 Hazard Kerbeus.7.At - Defense type; parts included are the "Hazard Kerbeus" Layer, painted "7" Disk, and "Atomic" Driver. 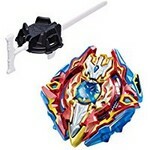 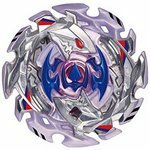 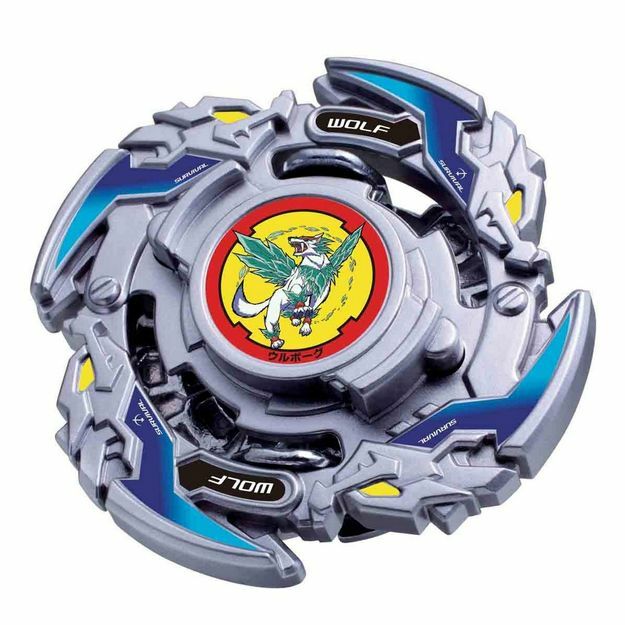 Z Achilles.3D.Ds - Attack type; parts included are the "Z Achilles" Layer (new colors), painted "3" Disk, "Dagger" Frame, and "Destroy" Driver. 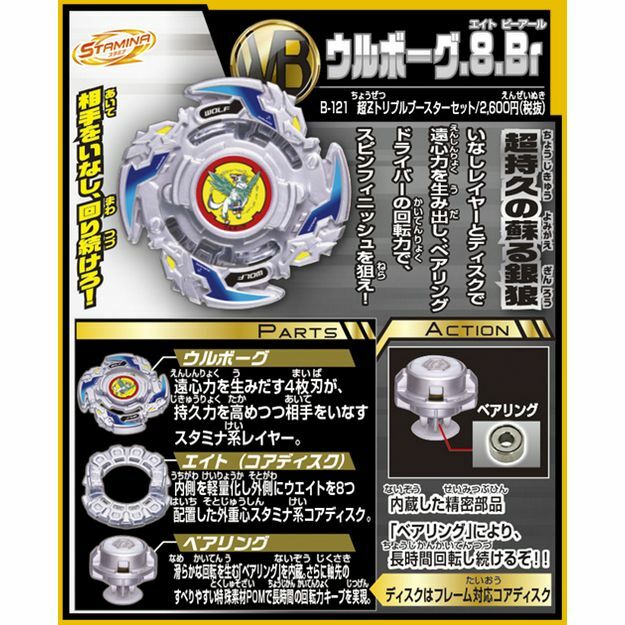 Wolborg.8.Br - Stamina type; parts included are the "Wolborg" Layer, "8" Disk, and "Bearing" Driver. 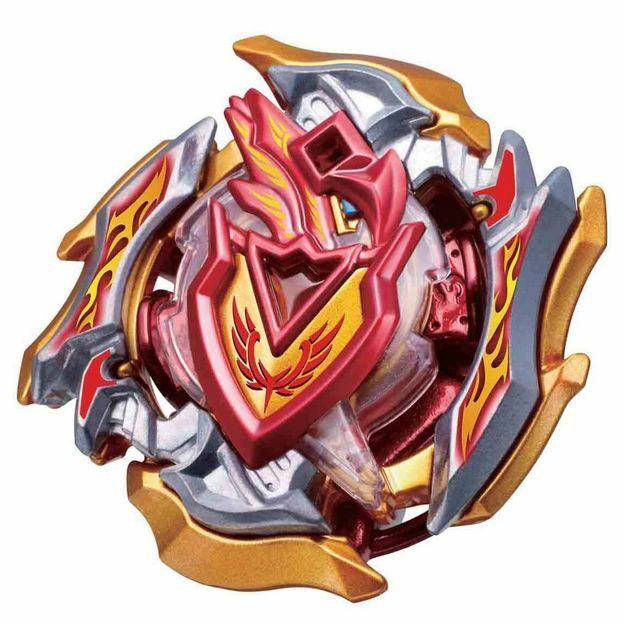 Japanese version from Takara Tomy!